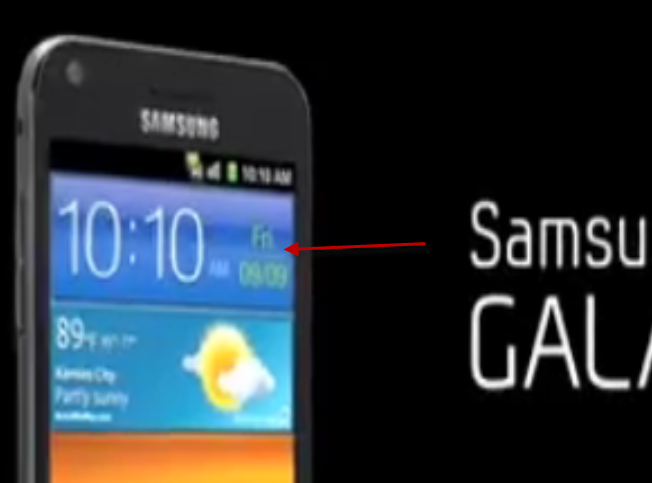 The Stars Have Aligned - The First Samsung Galaxy S II In The U.S. To Arrive September 9th, 2011? After months of anticipation, we are now finally on the verge of the Galaxy S II launch in the U.S. Yesterday's events now have us strongly convinced that the first variant of the Galaxy S II, most likely on Sprint (as the recently approved by the FCC Epic Touch 4G, if you remember), will be launching Friday, September 9th, 2011. First, today we received a tip from a trusted source inside Sprint, putting the 9/9/11 date on the radar with a very high probability. The source has always been reliable in the past, and the only way I see the scenario not playing out would be if between now and the 9th Sprint cancelled the launch and pushed off the release date. See anything curious? If "Friday, 09/09," which matches September 9th perfectly, isn't a hint pointing to the release, then, well... I will lose a huge bet against myself. Independently confirming our Sprint source from the 1st clue, SprintFeed received a similar bit of info from their own sources also mentioning September 9th. The source went even further to state that Sprint would be the first carrier of the big four to launch the S II. Since their report arrived before Samsung's video in the 2nd clue, it looks to be spot on. We should hopefully have some more solid information in the next few days regarding the release, but if Samsung and all the carriers somehow manage to remain mum, we should have official confirmations coming out August 29th from Samsung's NYC event.